PLDT has already finished their project of making Bonifacio Global City a Smart City. They have already rolled out Fibr-powered facilities across BGC's business and residential districts. As a cosmopolitan community, BGC residents have a strong demand for high-speed broadband given their digitally-driven lifestyles. 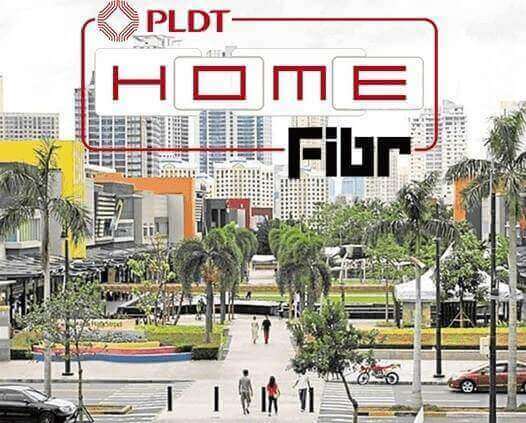 PLDT HOME Fibr fulfills this demand. BGC residents can now enjoy ultra-fast broadband speeds for lag-free browsing, gaming and streaming via the game-changing Roku Powered™ TVolution. This entertainment box offers Cignal TV, and over 100 streaming channels including Netflix, iflix, and YouTube. The powerful connection from PLDT HOME Fibr will also enable families to enjoy the benefits of PLDT’s SmartHome security devices such as the home monitoring system Fam Cam, the cyber security platform Fam Zone, and the multi-functional kiddie gadget Smart Watch. They can also now sign up for the country’s first-ever Whole Home WiFi service—the first intelligent Home Wi-Fi technology in the Philippines, designed to blanket the entire home with wireless connectivity. This development just solidifies BGC's spot as one of the most impressive business and residential districts in the country. With many attractions such as various dining places, museums, sports and recreation spots and more, city dwellers can now enjoy fast internet anywhere their heart desires in BGC. PLDT Home Fibr is the future of broadband. With our aggressive nationwide fiber network roll-out, we are ushering in a future for Filipino families where world-class internet is accessible to everyone. Our network program for the year is on track and we will continue our mission to give more Filipinos access to high-speed broadband. Since June, Fibr-powered homes reached an astonishing number of 3.3 million homes. They look to end 2017 with a bang as they aim to reach 4 million fibr-powered homes. They are also looking to have hybrid facilities so that existing customers with copper connections will have Fibr-speeds as well. This is one of PLDT's largest projects with funding reaching PHP300 billion or USD6 billion since its conception over a decade ago. With that, they have established the most extensive fixed and wireless infrastructure in the country.